With China accounting for the lion’s share of global poverty reduction witnessed in recent decades, Dr Jennifer Golan looks to one of the largest targeted social assistance schemes in the world, and discusses its effectiveness. What is the dibao programme? China has experienced a huge reduction in poverty during recent decades: the fraction of people living on less than $1.9 a day declined from 57% in 1993 to 1.9% in 2013 (WDI 2017). Apart from economic growth, social programmes targeted at the poor have been argued to be important factors in China’s poverty reduction. The minimum living standard guarantee, or “dibao” programme, is one of these programmes. By 2011 the dibao programme covered about 8% of the rural population, which is twice the size of its urban counterpart and so exceeded all other poverty relief programmes in rural areas. The programme provides cash transfers to households with incomes below a threshold so as to close the gap between the recipient’s income and the threshold, and, as such, to guarantee a minimum level of income. Contrary to many cash transfer programmes in developing countries, participation in the programme does not require the household members to take any specific actions. Following initial success with the programme in urban areas, local governments began to test dibao programmes in the rural setting in the 1990s. These rural experiments gradually expanded, and in 2007 the central government adopted the program in rural areas nationwide. Despite being a national programme, eligibility criteria, beneficiary selection and transfer amounts are determined by the local government, and are, as such, subject to local capabilities as well as budgets. While several analyses exist of the urban dibao programme, there is a dearth of knowledge about the poverty effectiveness of its rural counterpart. As a result, Dr Jennifer Golan (The University of Manchester, UK), Professor Terry Sicular (The University of Western Ontario, Canada) and Senior Economist Nithin Umapathi (World Bank, US) came together to answer two very simple and related questions: who benefits from the rural dibao programme? And does this social assistance scheme reduce rural poverty? It turns out there were no easy answers to be found. In their recent publication “Unconditional Cash Transfers in China: Who Benefits from the Rural Minimum Living Standard Guarantee (Dibao) Program?”, the researchers use rural household survey data collected by the China Household Income Project in combination with administrative data for nine provinces covering nearly half of China to answer these questions. And what do they find? They find that for many households who benefit from the dibao programme, transfer amounts tend to increase incomes above the threshold level. However, very few people actually benefit from the programme. Given that dibao implementation is decentralised, in many parts of the country the local dibao thresholds fall short of the national poverty line. As a result, it is not surprising that the researchers find the impact of the programme on poverty to be limited. Based on findings presented in a working paper version of their paper, The Economist concluded that “China’s biggest anti-poverty programme isn’t working”. Do Golan, Sicular and Umapathi come to the same conclusion? Not quite so. While they discuss several weaknesses in the programme design and implementation, they also find that on average dibao participants tend to be poorer, are more likely to have disabled family members and have fewer assets than their non-dibao counterparts. While this is so, most of the rural poor are excluded from the programme, and many people who receive the program have incomes above the local eligibility threshold. To detect factors that could possibly improve programme performance, the researchers resort to simulating possible changes to the program design. They find that expanding programme coverage can potentially yield greater poverty reduction than increasing transfer amounts. The results further suggest that nationalising the eligibility threshold or introducing uniform transfer amounts is likely to contribute to poverty reduction only in a substantial way when coupled with improvements in the targeting effectiveness of the programme. A few years ago the Chinese government acknowledged irregularities in dibao implementation and announced changes to the application procedures of beneficiaries. While these changes are likely to improve the targeting effectiveness of the programme, it remains an empirical as well as a conceptual question as to whether dibao will be the driving force for China to guarantee a minimum level of income for its population. Entitling citizens to a minimum income has huge implications for the government budget, programme coverage and targeting. As a result, implementation of these types of programmes is challenging, especially in the developing country context in which accurate documentation of incomes is often missing and government budgets are constrained. 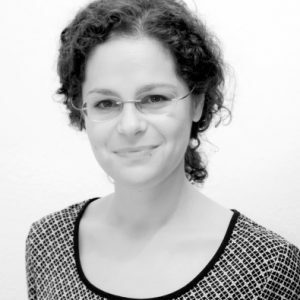 Dr Jennifer Golan is a lecturer in Economics at the University of Manchester. Jennifer’s research focuses on applied development economics and she is particularly interested in intra-household resource allocation and topics in development policy.